None of the color ramps that come with QGIS are related to elevation, so can anyone point me to pre-existing ramps that I can load in to QGIS? Thanks! 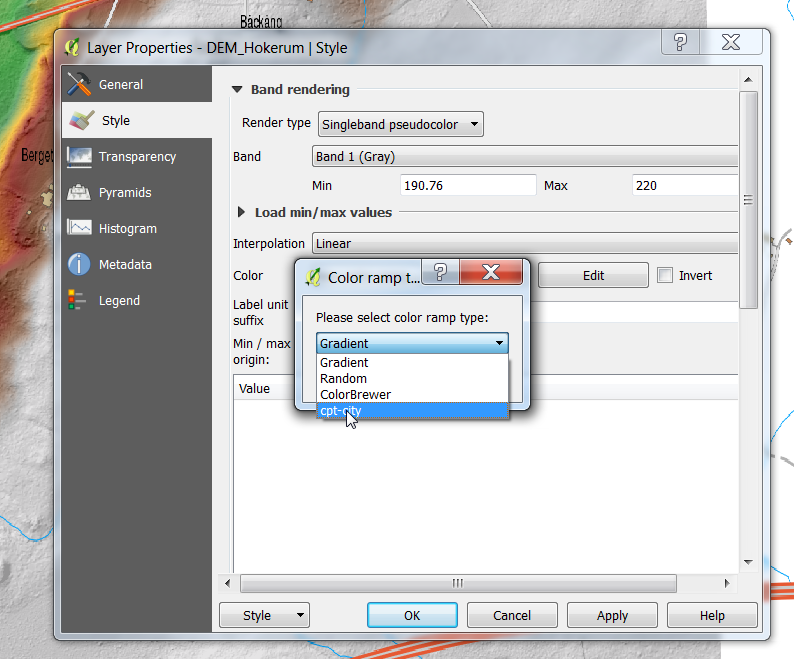 You can create a custom color ramp choosing New color ramp... from the color ramp drop-down menu. A dialog will prompt for the ramp type: Gradient, Random, colorBrewer, or cpt-city. The first three have options for number of steps and/or multiple stops in the color ramp. You can use the checkbox Invert option while classifying the data with a color ramp. See figure_symbology_3 for an example of custom color ramp and figure_symbology_3a for the cpt-city dialog. Not the answer you're looking for? 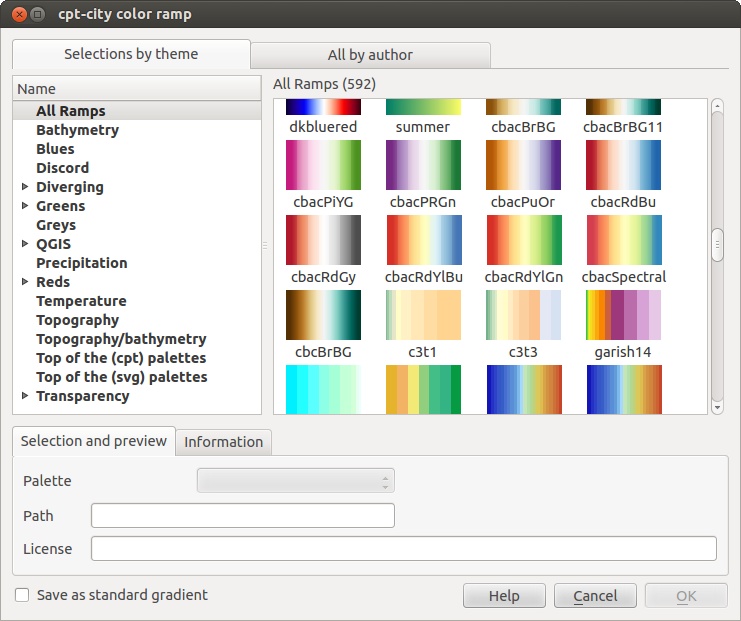 Browse other questions tagged qgis color-ramp or ask your own question. 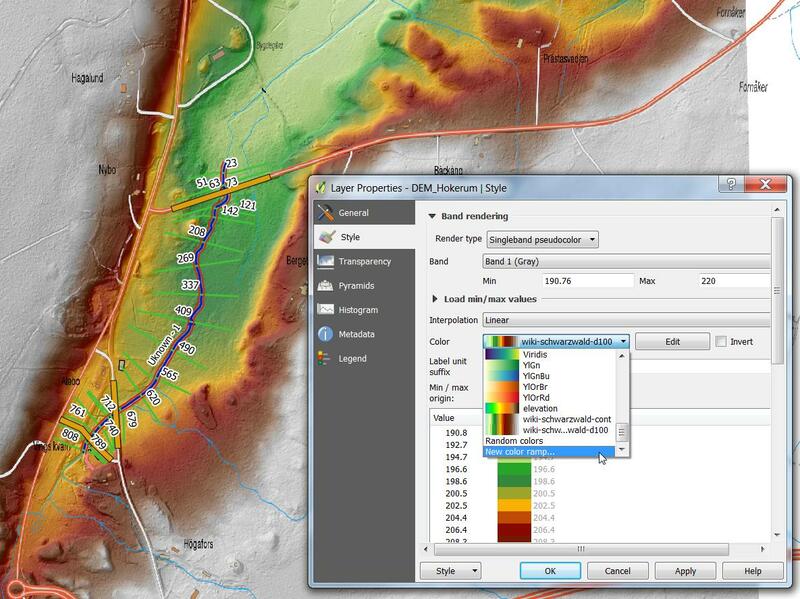 Using color ramps (cpt examples and wikicarto 2.0) in QGIS 2.4? Applying DEM elevation adjustment parameters in QGIS? Different ways of saving color ramps in QGIS (xml, qml, csv), which should I use? Color ramp resources other than Color Brewer?